The Celtic Festival of Beltane (Beltain, Beltainne, Beltaine, Bealtaine, Beltany) which marks the beginning of summer in the ancient Celtic calendar is a Cross Quarter Day, half way between the Spring Equinox and the Summer Solstice. While the Beltane Festival is now associated with May 1st, the actual astronomical date is a number of days later. The festival was marked with the lighting of bonfires and the movement of animals to summer pastures. In Irish mythology, the beginning of the summer season started with the Fire Festival at Beltane. Great bonfires would mark a time of purification and transition, heralding in the season in the hope of a good harvest later in the year, and were accompanied with rituals to protect the people from any harm by otherworldly spirits. 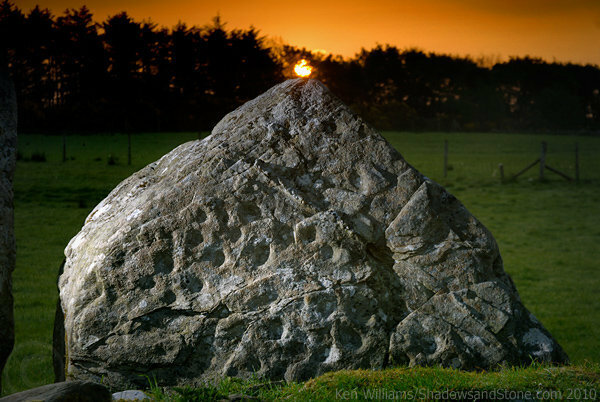 At the Beltany (Beltony) Stone Circle in the North West of Ireland, the sunrise at Beltane is aligned with the only decorated stone in the circle. The Beltany Stone Circle gets its name from Beltane which is associated with the lighting of hilltop fires in a rekindling of the sun. 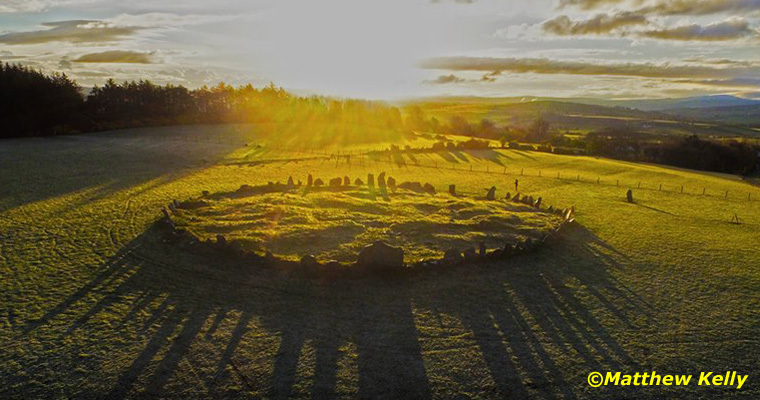 The Beltany Stone Circle astronomical alignment is not precise as at Newgrange, it is more circumstantial, the Stone Circle gets its name from Beltane and the sun rises at Beltane behind the only stone that is decorated. Ancient cultures such as the Neolithic (Stone Age) people who built Newgrange in Ireland aligned their monuments to the major solar events, the Winter Solstice, the Spring Equinox, the Summer Solstice and the Autumn Equinox. The solar year was further divided to mark the half way points between the major solar events giving the cross quarter days of Imbolc, Beltane, Lughnasadh and Samhain.